Posted on December 9, 2015 by thelostlighthouse	in Board Games, Gaming, The Tabletop Project and tagged Arcane Wonders, Asmodee, board games, Christmas, Escape The Curse of the temple, Esdevium Games, Fantasy Flight Games, Hey! That's my fish, IDW Games, Libellud, Loony Quest, Machi Koro, Queen Games, Sheriff Of Nottingham, TLL, Xmas. With Xmas quickly approaching, we decided to put together our top 10 board games, we think, that would make anyone’s Christmas a little brighter. We’ve tried to keep the price point low, with a lot of the game hitting the £20 mark or lower . So put away Cluedo and move aside Monopoly, Christmas has a new main event! This was one of my intros into modern board gaming and it’s awesome! 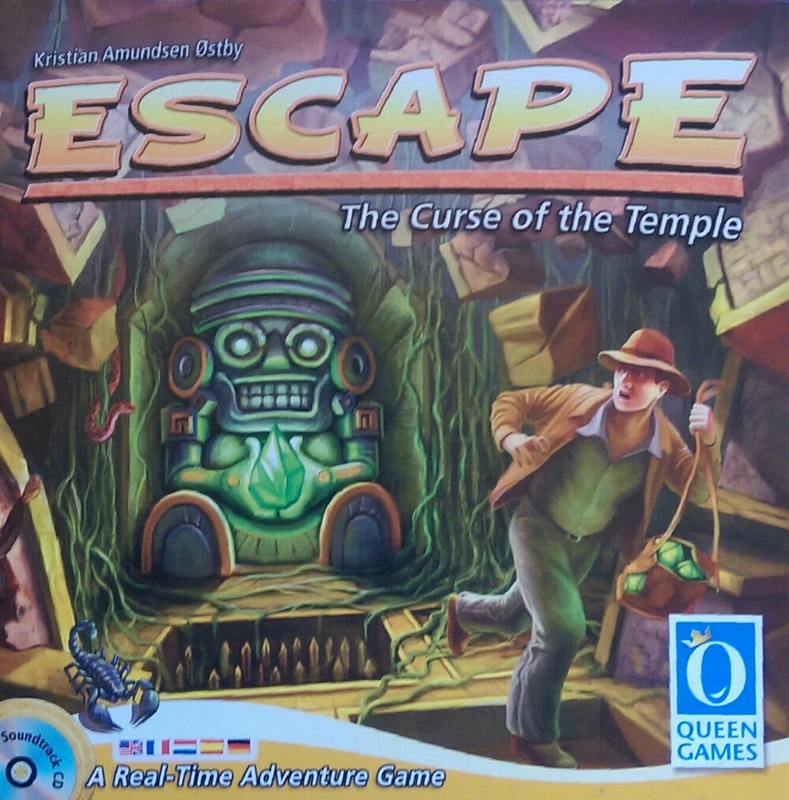 You play adventures seeking treasure in an crumbling temple. You can only move to rooms by rolling the right combo. But what makes this game great is you are restricted to a time limit! There’s a CD you play and if you don’t find enough treasure in time, you are locked in the temple for ever! Each game is only 10mins and you can have 1-5 players. 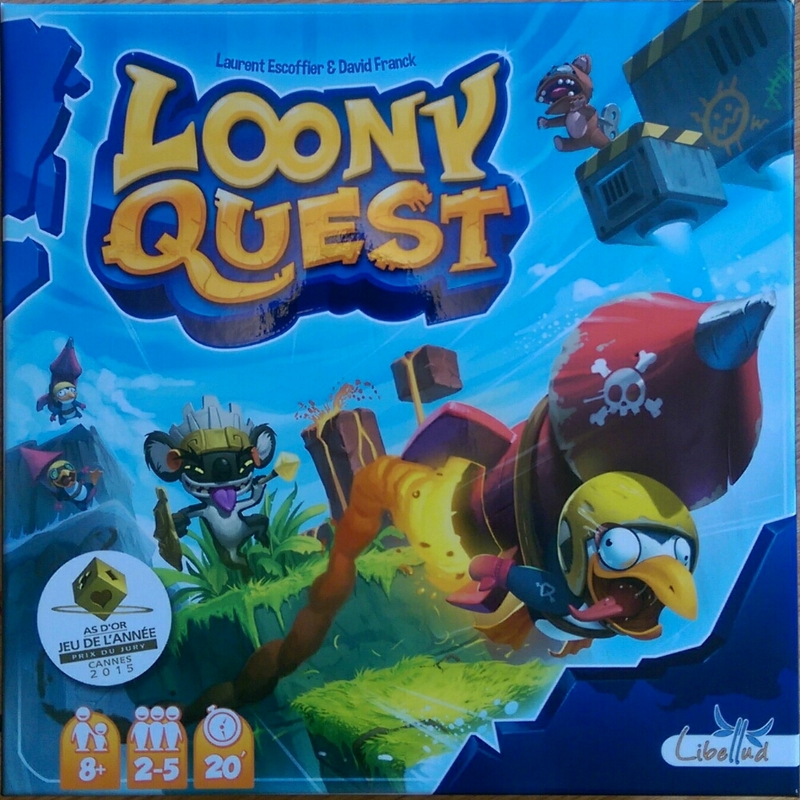 I’m not sure what I love more about Loony Quest, the art or the game mechanics! The game is based round imitating a computer game. You are all characters trying to compete in a famous game to crown the new king. As players you have a tile in the middle of the board and each of you have a transparent sheet and a marker. Depending on the mission you ether have to draw a route, place a dot, or circles objectives. Then you each, in turn, place your transparent sheet onto the centre tile to see if your lines mark a safe route, eliminate a target or gain extra bonuses while avoiding pitfalls and obstacles. Most likely you will hit everything other than what you were aiming for! This is normally followed by loud cheers and lots of laughing. An extra amazing thing in Loony Quest is you can unlock perks which help you in game, or traps that make the game harder for other players! Including banana peels and a pesky mosquitoe! With a game length of 20 mins and player count of 2-5, this will be a hit for sure! Machi Koro has been sweeping up awards since it’s release, even before it’s English translation. 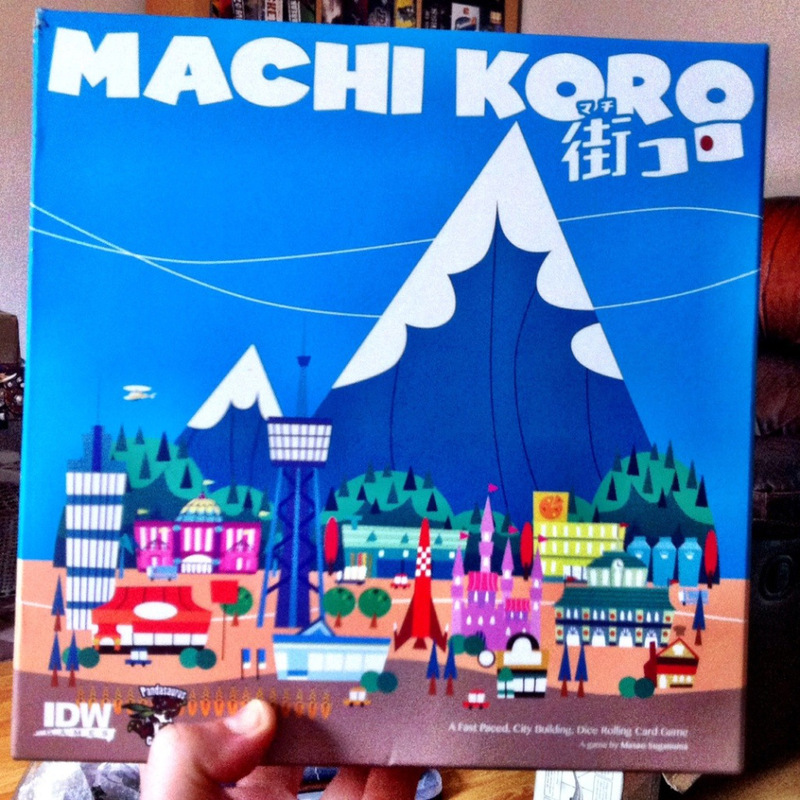 Machi Koro is as simple as it gets, with it’s roll & earn formula. You are all racing to build your own town, winner is who ever builds the 4 landmarks first. You roll a dice, see if it matches any of your buildings, if it does, you earn money. But that explanation does not do this game the credit it deserves. Since adding this to my collection I’ve played it constantly! With it’s 2-4 player count and 15min game time, you’ll be able to get a good few games of this in over Xmas! Want a great game, at a good price point that also has amazing penguins in it? Then look no further madam! Hey! That’s my fish has to be one of the simplistic, yet enjoyable games available. You simply have to collect as many fish as possible while trying to get isolated on a list ice berg. With an easy and quick to learn rules set and quick game length we highly recommend Hey! That’s my fish. Fancy a bit of bluffing? What to try and sneak some contraband pepper past grandma? 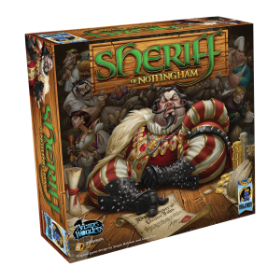 Then Sheriff of Nottingham is for you! Possibly the simplest rules set for a bluffing game, you play traders trying to get through customs, but each turn someone plays the Sheriff and gas to guess wether you are trying to sneak some illegal goods through. If he’s right, you pay him a fine, if he’s wrong, he pays you! Well that’s our first 5! Please check out any of the links to learn more about the games. We happily recommend them all.